Starting immediately, the SCDNR will begin tagging and releasing four male coyotes in each of the four games zones (16 total). 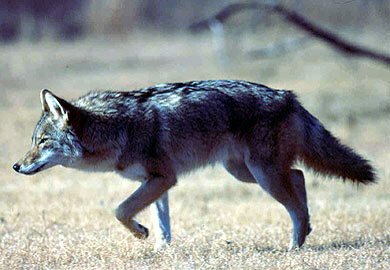 The coyotes will be ear-tagged and the tags will have specific contact information embossed on them. Anyone who kills one of the tagged coyotes, saves the carcass for verification and contacts the SCDNR, will receive a complimentary lifetime hunting license. This lifetime license may be issued to a designee of their choice. The SCDNR is also implementing a voluntary registration program in an effort to gauge overall interest and any added effort or take of coyotes by the harvest incentive program. If a person registers by Dec. 1, 2016, and takes and reports one of the 16 specially-tagged, incentive program coyotes by June 30, 2017, he or she will have their name entered into a drawing for a centerfire rifle/scope combo. Anyone who registers for the Coyote Harvest Incentive Program after Dec. 1, 2016, but by April 1, 2017, will have their name entered into a drawing to receive a Yeti Roadie Cooler if they take and report one of the specially-tagged incentive program coyotes by June 30, 2017. Certain terms and conditions apply in order to be eligible. SCDNR encourages all participants to register early; however, registration is voluntary. Any person who takes and reports one of the specially-tagged coyotes, regardless of pre-registration, will receive the lifetime license as granted by the budget proviso.